I was able to see Dr. Silani right away. Prompt and efficient service. Seeing Dr. Silani is always a fantastic experience. I wish all my doctors could be trained by him! Amazingly talented forward thinking doctor. He is cutting edge. Dr Silani gave a very thorough and careful exam on my eyes regarding my eye hurt issue. He was very patient throughout the process and gave detailed suggestions and explanation. I especially appreciate that. Thanks! Wonderful experience, everyone at the office is so kind. Dr. Silani is easily the most knowledgable optometrist i've ever been to... he helped me majorly, explained everything in terms I could understand, and answered all of my questions promptly. Would recommend him to everyone! Dr. Silani is fantastic! He uses state of the art technology, he is kind and is extraordinarily helpful with a terrific selection of frames as well. Dr. Silani is by far the best!! He made me feel comfortable immediately. He explained everything so well and was very gentle. He's very easy to talk to, answers all your questions and explains all your options. After I left I immediately called my girlfriend, sister, brother in law and told them to make sure to go to him for any eye needs! I am so happy I found him! Thank You!! Amazing experience with Dr. Silani! He's very knowledgeable and thorough. Make an apointment now! Your eyes will thank you! Dr. Silani was kinda and knowledgable, I looking foward to working with him on findinf the correct contact lenses in the future. My employer was having some trouble with his eyes and needed contacts. He was having trouble getting an appointment with his former eye doctor. 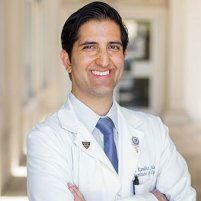 Dr. Silani was not only able to give him an appointment the same week, but did a thorough comprehensive eye exam. He was able to figure out what was irritating his eyes and recommend a treatment. He took the time to listen to my employer and did not rush him. Dr. Silani gave him different options on prescriptions and some trial contacts to test out before he decided on the best one for him. My employer had a great experience and will be returning to Beverly Hills Optometry for all his eye care needs. Ashley is also extremely helpful. She was able to answer all of my questions regarding insurance/pricing and was great with follow-up questions as well. I highly recommend Beverly Hills Optometry. You will be in good hands. 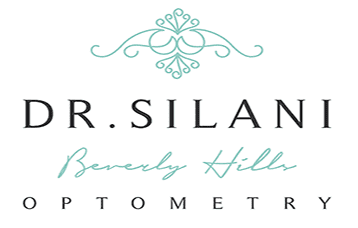 Dr. Silani was very kind and thorough in explaining the procedures taken throughout the eye exam. Great patient care! I had an awesome experience at Dr. Silani's office! He gave me the most thorough eye exam that I have ever had and you can clearly tell that he has a passion for providing exceptional patient care. He is also a very personable, nice man and really makes you feel at ease throughout the exam. It feels great to have a doctor that truly values my best interest. I will definitely be coming back to Beverly Hills Optometry for my next eye exam!